Stocks were under pressure last week, as the S&P 500 fell by 1.61 percent to 2,736.27. That left the benchmark index up 2.34 percent year-to-date, and 6.64 percent below the record close. 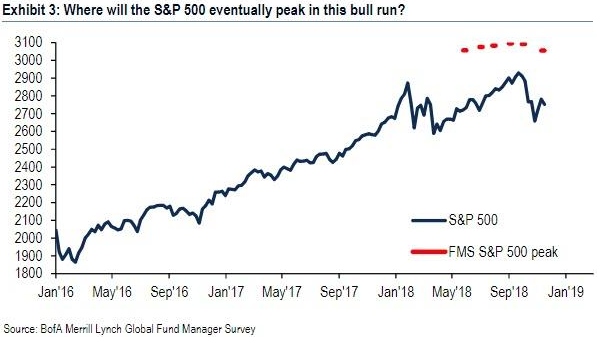 Most market participants currently fall into two camps: those who believe October’s sharp selloff was the start of a new bear market, and those who view recent price action as nothing more than a healthy correction process. The former is likely feeling confident after last week’s pullback, but the latter still has support from a solid economic backdrop and favorable seasonality, e.g. 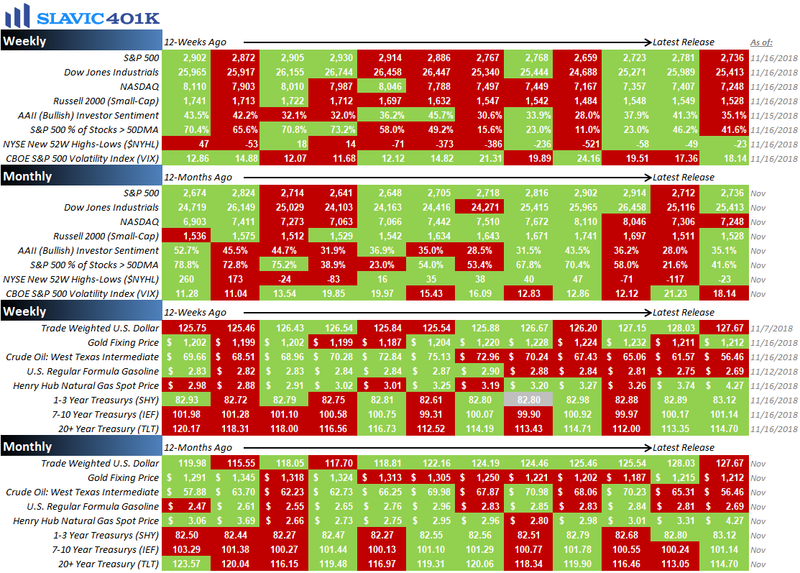 year-end strength and midterm election outperformance. 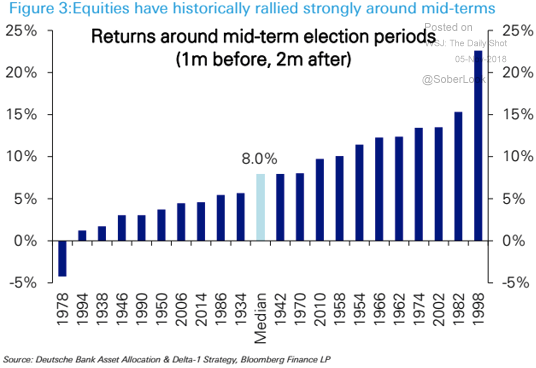 In fact, the S&P 500 since 1960 has risen in price over the six months following a midterm election every single time, with an average gain of 15.5 percent. 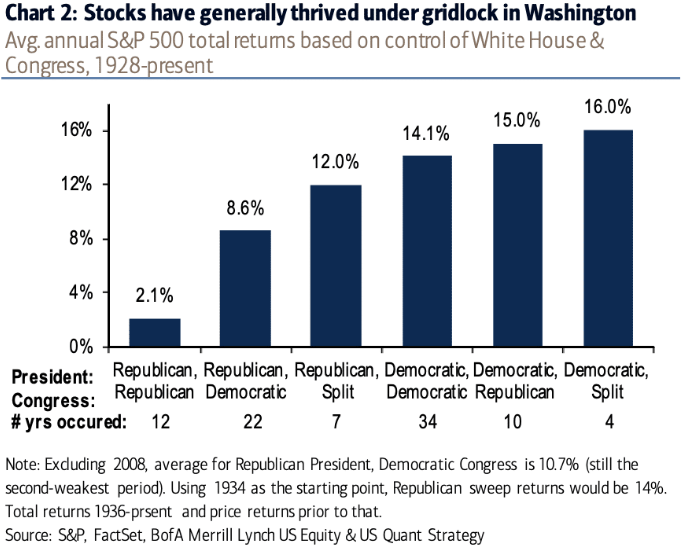 Further, the resulting gridlock in Congress has historically been bullish for stocks, and professional money managers surveyed this month by Bank of America Merrill Lynch on average do not believe the S&P 500 will peak until 3,056, 11.7 percent above Friday’s close. 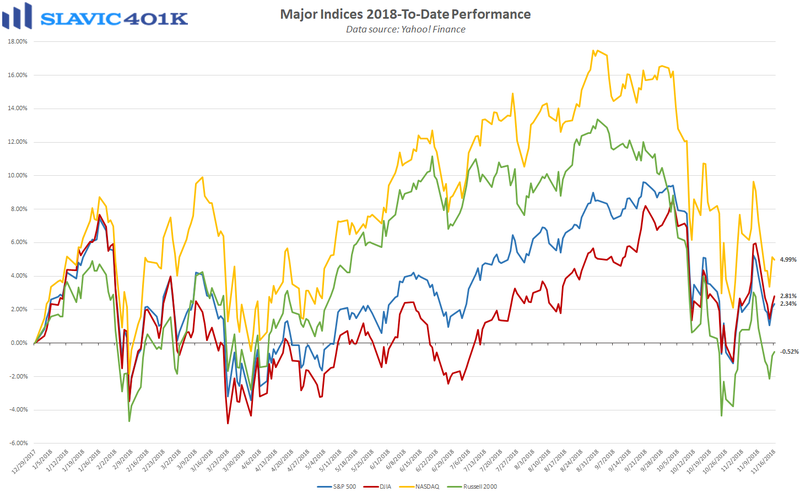 However, even if these bright outlooks are correct and the bull market still has room to run, it does not guarantee that stocks will avoid heading lower again (and perhaps even revisiting the February extremes) before taking another shot at all-time highs. Consider the midterm election statistics mentioned above. 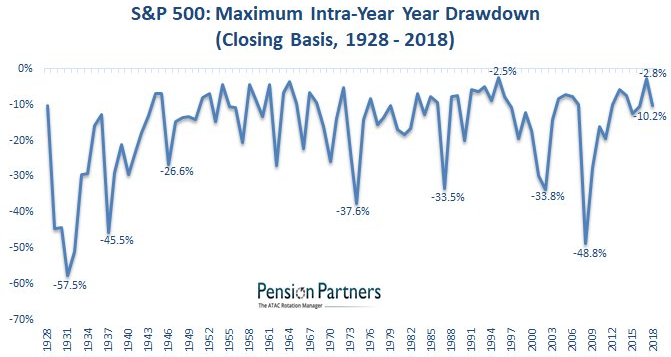 Although the average return and 100% “win rate” are extremely encouraging, there have been occasions when equities experienced big drawdowns before finally reversing higher. 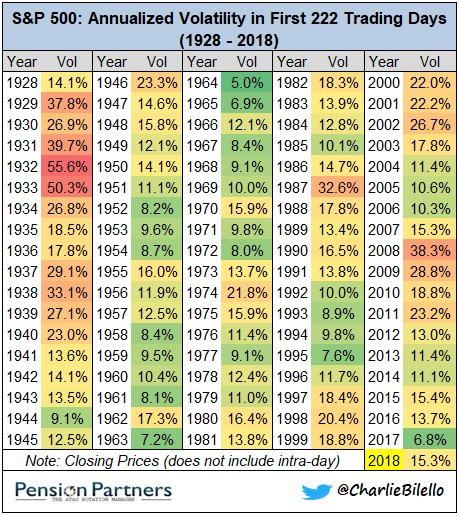 In the 1974-1975 period, for instance, the S&P 500 plunged by 13.2 percent from its October closing price before rebounding to end April 18.1 percent above the pre-midterm election level. 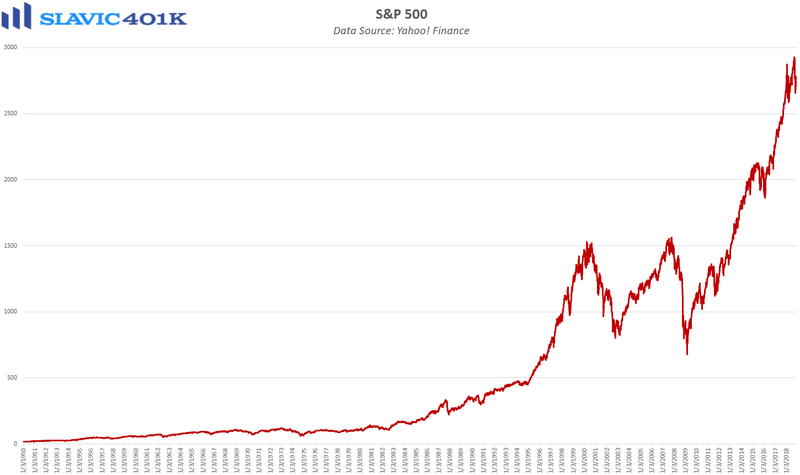 In summary, there are several reasons to remain optimistic about stock valuations but it could also be a bumpy (volatile) road going forward. This is why retail investors should continue to focus less on the day-to-day fluctuations in the market and more on the long-term goal of amassing a large retirement nest egg. Assistance is available through the consistent use of tax-advantaged savings vehicles, dollar-cost averaging, and regularly consulting with a professional financial advisor. As always, we are here to help with any questions you may have. To recap a few of the things we learned about the economy last week, the positives included that retail sales rebounded, small business owner optimism remained elevated, household inflation pressures moderated, and the number of Americans making first-time claims for unemployment benefits held near a half-century low. As for the negatives, mortgage applications fell, the 15-year mortgage rate rose to an 8-year high, trade-related inflation pressures firmed, industrial production growth cooled, capacity utilization declined, and gauges of regional manufacturing activity continued to send mixed signals. 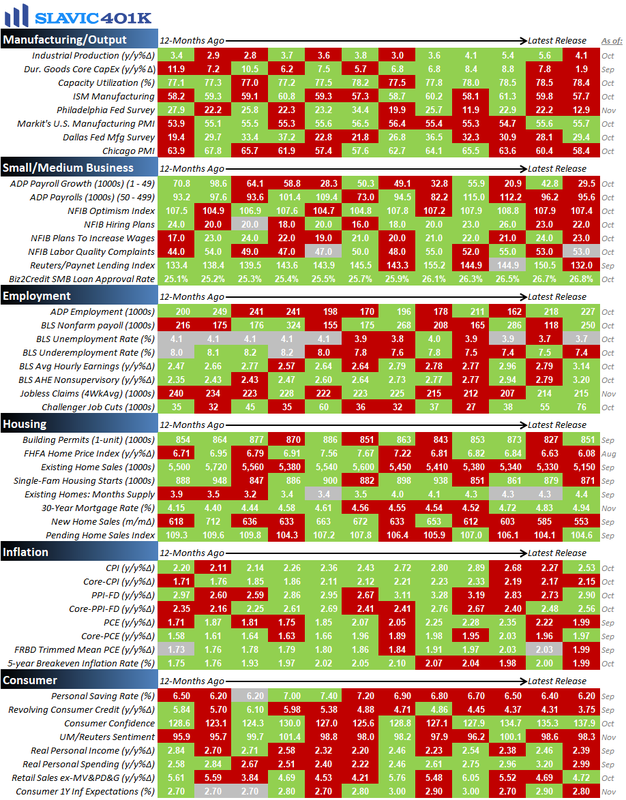 This holiday-shortened week the pace of economic data slows down considerably but there are still a few important reports on manufacturing, housing, and consumers scheduled to be released.